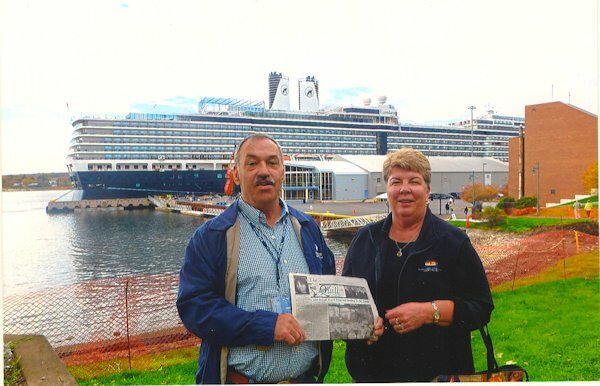 Mike and Cheryl Bundy, nephew of Joann Shoemaker and Clyde and Claude Collins, took "The Quill" along on their cruise on the Eurodam to celebrate their 47th anniversary. The cruise ship traveled from Quebec, Canada to Florida. They are with "The Quill" in Sydney, Nova Scotia. Whenever you go on a trip, take "The Quill" along, have your picture taken with it, and then send it to us. Let's see where all "The Quill" can travel.